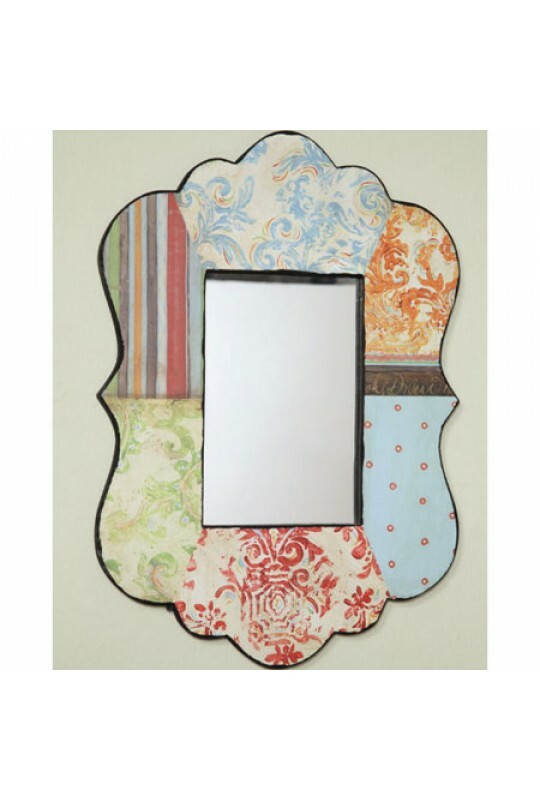 This mirror is very cool, with a chuncky wooden frame and plenty of "funky chic" charm. This adds a hip touch to any space. 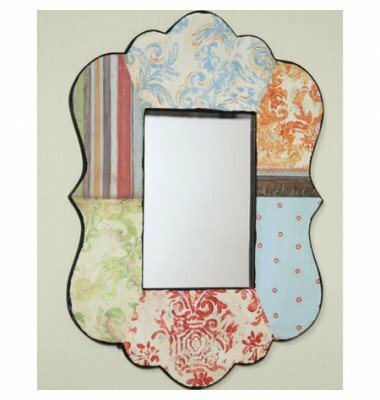 Made by Creative Co-op, this mirror measures 17"